Radware (NASDAQ:RDWR), the global leader in integrated application delivery solutions, assures the full availability, maximum performance, and complete security of business-critical applications for nearly 10,000 enterprises and carriers worldwide. With APSolute®, Radware's comprehensive and award-winning suite of products, companies in every industry can drive business productivity, improve profitability, and reduce IT operating and infrastructure costs by making their networks business-smart. Radware's Business-Smart Data center initiative was designed to ensure the alignment of key business drivers for the next generation data center. At the core of this strategy is Radware's ability to provide its customers with tailor-made application infrastructure solutions for the next generation data center to help them overcome IT complexities and ensure cost effective procurement and full investment protection. Radware's approach is unique in that it offers a range of innovative capabilities essential to facilitating key business drivers while being fully integrated into existing infrastructure and rendering customer networks business-smart. These capabilities are inclusive of pay-as-you grow procurement models, state of the art on demand platforms, real-time behavioral security, and the alignment of network behavior based on business events. In today's environment, the last thing you want is capacity planning errors. Under-planning could mean the expense of replacing an entire project. Over-planning could waste your company's precious resources. What if you could start out with the capacity you need now, on a platform that would grow into your needs? With Radware, you can. 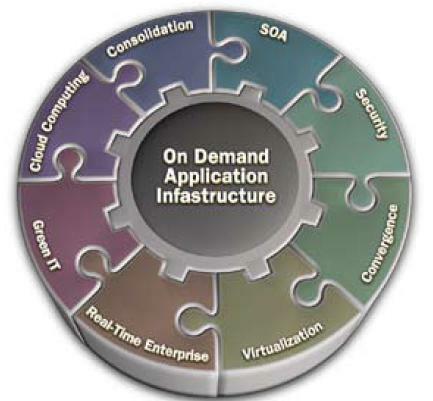 All of our solutions are delivered on our On-Demand Application Infrastructure, which has been designed to match our commitment to you. Ouron-Demand Approach means that you "pay-as-you-grow". You purchase the platform that meets your current throughput needs, and when your needs increase, you just turn the software key to add capacity. No more guesswork, no more overspending "just in case", and no forklift upgrade. You don't even need to re-boot. Our On-Demand Infrastructure also means that you are getting high-end performance even at the entry level. All Radware products are powered by the OnDemand Switch, our next-generation hardware platform. You'll benefit from our top-of-the-line response time and quality of user experience from day one. In an industry that sometimes seems to design for obsolescence, Radware solutions are built to last. Please contact us to learn how our Radware network security solutions and other product offerings can enhance your business.